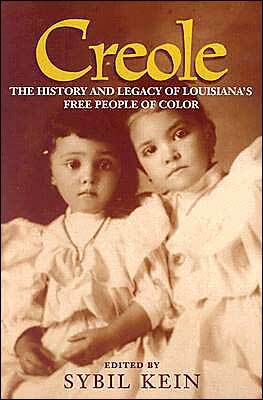 During the late 1800's Louisiana was Proudly called the Creole Srate...This was because the Creole culture and People were a moving force in the City..Not only were there White Creoles but Free People of Colors and Mixed Race people of African Descent who, rightfully so, called themselves Creole..
.Since this was a time immediately following the Civil War there was much hatred and contentment towards Our Ancestors, the Creole of Color.,..Embittered and angry because of there loss of the Civil War ,the White American anglos wanted more than ever to disfranchise these people ...Not only did they threaten to deport the Creoles of Color but they went as far as to take all their freedom and Civil rights away and as more Creoles began to rightfully claim their Creole Heritage the Southern Politicians went so far in the 1880's an to change the States name from the Creole State to the Pelican State. It's not just the Carnival that creates excitement. With her rich heritage of Creole, Cajun, and French, Louisiana life is spiced up with foods like gumbo, andouille, etouffees, sauce piquantes, cayenne pepper, Tabasco, and crawfish. 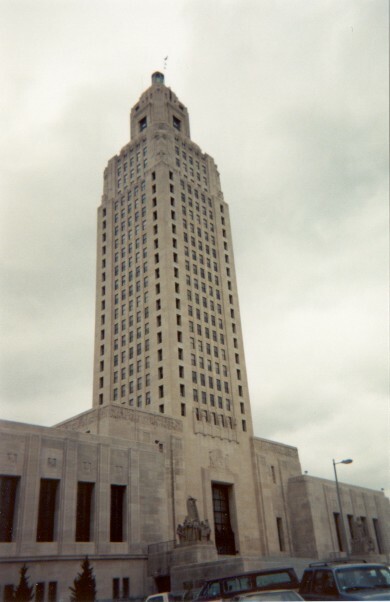 And the senses tingle and feet keep tapping with the sounds of jazz and blues and zydeco.Louisiana is another state, along with Illinois, that bears the mark of Robert Cavelier Sieur de La Salle. The first European to descend the Mississippi River to the delta, this French explorer named the area La Louisianne after Louis XIV of France in 1682. Source: Shearer, Benjamin F. and Barbara S. State Names, Seals, Flags and Symbols Greenwood Press, Westport, Connecticut - 1994Louisiana is another state, along with Illinois, that bears the mark of Robert Cavelier Sieur de La Salle. The first European to descend the Mississippi River to the delta, this French explorer named the area La Louisianne after Louis XIV of France in 1682. Because of the abundance of Brown Pelicans found along the coast of Louisiana, the state is commonly referred to as "The Pelican State." This bird has been a symbol of Louisiana since the arrival of early European settlers who were impressed with the Pelican's generous and nurturing attitude toward their young. The Pelican is Louisiana's official State Bird and appears on the Louisiana State Flag and the Great Seal. Disaster struck Louisiana in the 1960s when the use of pesticides caused the Brown Pelican, native to the area, to stop nesting along the Gulf coast. By 1966, the bird had completely disappeared in Louisiana. In 1968, Louisiana began importing fledglings from Florida in an attempt to repopulate the coastline and, in 1970, the Federal Government declared the Brown Pelican an endangered species. This is a story with a happy ending. Protection of the Brown Pelican's habitat along with repopulation efforts resulted in the Federal Government's declaration, in 1995, that the bird had "recovered" in Louisiana. A bayou is a small secondary river that feeds into larger bodies of water. It is often marshy and slow moving. Because of the many slow, sluggish small streams that meander through the lowlands and marshes of the southern section of the state, Louisiana is often referred to as "The Bayou State." This nickname appeared on the Louisiana state license plates for a while beginning in 1974. It was later replaced by a World's Fair plate and, later, the Sportsman's Paradise plate. In addition to cotton, rice, and sweet potatoes, Louisiana produces a large sugar cane crop. This nickname is in reference to the sugar cane grown in the state and the sugar refineries of Louisiana. This nickname comes from the build up of silt deposited by the Mississippi River that contributes to the land mass of Louisiana. : This nickname refers to the people of Louisiana of French and Spanish descent and also to the culture they have preserved. This nickname pays tribute to the wildlife and the hunting, trapping and fishing resources of the state as well as other outdoor recreational and sporting activity within the state. Football ice hockey, horse racing, golf, baseball and college sports round out the "sporting" experience of "The Sportsman's Paradise." This nickname appears on the Louisiana license plate. Similar to the above, this nickname touts the wide variety of excellent fishing available in the state. : This surprising nickname came about because of Louisiana's waterways and its trucking industry. - It is peaceful here on the Cane River, beyond the fluffy tops of high cotton and towering magnolia trees, but it is not home. For the New Orleans Creoles living in exodus here and elsewhere around Louisiana, their city was far more than home - it was homeland, the capital of an ethnic nation unique in this country. "New Orleans was our womb and for most of us, it was going to be our grave," said Timothy Bordenave, who is living in a cottage here, a five-hour drive away from the city, describing the deep sense of lifelong connection felt to New Orleans by many of the city's Creoles, the population of mixed-race families who trace their roots to the city's French and Spanish colonial era. 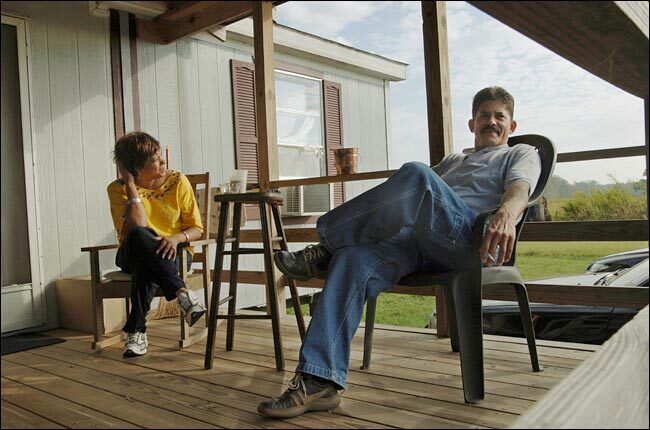 Curtis Bordenave with his sister Gwendolyn outside the trailer she has rented near the Cane River in Louisiana, said he was not sure he would be able to return to New Orleans. 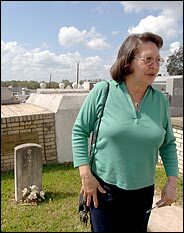 Mr. Bordenave's wife, Mary, said she wondered if the Creoles might end up being stronger because of storm. The Creoles have been more distinctly connected to a place - New Orleans - than perhaps any other American ethnic group but their rural Louisiana neighbors, the Cajuns. But unlike the Cajuns, who settled in Louisiana after being expelled from Canada by the British, the Creoles lived in the birthplace of their culture. And now, after the recent storms and the blows they dealt to Creole communities around New Orleans, scattering them to states from coast to coast, many Creoles fear that without a geographical base, their already fragile culture and their very identity could be lost. "The Creole culture was already dying, and now I think it's gone," said Julie Sardie, a marketing executive from New Orleans who is living in a transplanted Creole community in Houston. Ms. Sardie's mother, Jackie, added, "We're just sick, suffering so bad over, not the loss of our houses, but the loss of our home, our culture, the things we did." Many Creoles trace their roots to immigrants and slaves from the former French and Spanish colonies in the Caribbean, particularly Cuba and what is now Haiti. Historians say it was New Orleans's position as a crossroads and port town that allowed for the easy mingling of races and nationalities that in turn gave birth, in the 18th century, to a part-European, part-Afro-Caribbean society that grew to an estimated 20,000 people in Louisiana by the mid-1800's. The Creole culture that developed over generations - known for a distinctive cuisine, language and music - contributed to New Orleans's singular identity and helped define Louisiana to the world. Before Hurricane Katrina, experts estimated that 10 to 20 percent of black people in New Orleans - 30,000 to 60,000 people - considered themselves Creole by way of ancestry, but even more lived lives influenced by the culture because of their proximity to it. And now most are gone. With their geographic underpinnings swept away, many New Orleanians of Creole descent are trying to figure out how best to preserve a community separated from both its birthplace and home base. "Everywhere you go they're trying to exist, but it's like the life's been drained out of them," said Ms. Sardie, who is in touch with the large group of displaced New Orleans Creoles in Houston. "I just want to cry." Mr. Bordenave, who manages a restaurant, said: "We can exist outside New Orleans, but it's easier and more natural to live in an atmosphere that reflects our history, love of music and architecture, eating and celebrating." As for going back home, the Bordenave family are taking a wait-and-see approach, as are many. They wonder whether the so-called new New Orleans will be anything more than a hollow imitation of the old city. "We'll give it a year, then consider other options if New Orleans doesn't work out," said Curtis Bordenave, Timothy's brother, an electrical contractor whose family name appears in stone at one of the city's oldest cemeteries. Leaving the city would not be easy, he said, not "when you loved a place and it was good to you." Back when they were in New Orleans, the Sardies - Roman Catholics all, as are most Creoles - could tell what holiday they were celebrating by what dish was on the table, they said. Gumbo des herbes meant Holy Thursday, crayfish bisque was saved for Good Friday and a cowan (turtle) feast signaled the arrival of Easter Sunday. Christmas celebrations began on the night of the 24th and usually included midnight mass and a revillion dinner featuring filé gumbo. And while most of the country associates Carnival with a single day - Fat Tuesday - in New Orleans the Mardi Gras season opens on Jan. 6, the 12th night after Christmas. For people like the Sardies and the Bordenaves, Carnival time was not so much about catching beads in the French Quarter as going to black-tie or masquerade parties and debutante balls in quieter parts of the city. "Oh God, I'm going to miss that so much," Jackie Sardie said. "During Mardi Gras, we might go to 15 or 20 dances. We really believed in clubs, parties and dances. It's something I fear we will never have again." For many, these things were the only good reasons to be in New Orleans. "We didn't stay there for the city administration or the great benefits - the crime and the schools were horrible," Ms. Sardie continued. "We put up with all of that because our culture was there. That's the only reason we were there." Many, though, had already left, some to live as whites in other parts of the country. Large numbers of Creoles also departed Louisiana after World War II, frustrated with the slow pace of racial progress in the South. The Creoles who left New Orleans in the past, however, generally planned their moves as families. Last month, the evacuation scattered people haphazardly, not even giving them a chance to say goodbye or tell one another where they were going. Families that had lived within blocks of each other for generations ended up in different states. "The people I saw in church every Sunday - where are they?" asked Jacques Detiege, a businessman from New Orleans now living in Houston. "People I've known since I was a kid, I have no idea what happened to them." The Creoles in New Orleans were an economically diverse group. Some lived in simple but historic houses in the Tremé area near the French Quarter, while others were concentrated in Gentilly and in more modern, upscale neighborhoods in New Orleans East. Large swaths of the last two areas were damaged beyond repair in the flood and are likely to be condemned. This enormous displacement is not without precedent, said James Wilson, the assistant director of the Center for Louisiana Studies at the University of Louisiana, Lafayette. The Cajuns, who were expelled from Canada in the late 1700's, managed to carry on against the odds, Mr. Wilson noted. "They were able to preserve and maintain their way of life even though only a small fraction resettled in south Louisiana," he said. "They were forced to adapt and learn English, and this produced a backlash, a strong connection to their identity. The Creoles have gone through the same thing, as an outside group. They've learned to survive and maintain their distinctiveness." In fact, many Creoles think their recent trials will make them only stronger. "Katrina was not a death knell for Creole culture, quite the opposite," Janet Ravare Colson, the assistant director of the Creole Heritage Center at Northwestern State University in Natchitoches, said. "I think it was an awakening. People want to know about their heritage now more than ever." Ms. Colson said that the number of people contacting the seven-year-old center for information had spiked greatly since Hurricane Katrina, and that she could hardly handle the demand on the center's limited budget. Some Creoles predict that the area around Natchitoches (pronounced NACK-ih-tish), which already had a sizable, generations-old Creole community, will become the new center of the culture. Mary Bordenave, Curtis's wife, is among those who wonder whether the Creoles will emerge better off because of the adversity. "Maybe this was a great thing for the Creoles," Ms. Bordenave said. Sybil Kein, a retired English professor and New Orleans native whose Gentilly home was destroyed in the flood, said: "We'll meet on the Cane River. We're going to have a whole lot of Creoles there, because for many of us, we can't think of any other place outside of New Orleans we'd want to be." It is not clear, however, what will happen to New Orleans without its Creoles. "Much of what made New Orleans unique was the Creole influence," said Mary Gehman, an assistant professor of English at Delgado Community College in New Orleans and the author of several works on Creole history. "With the razing of large areas of condemned buildings and replacing them with modern housing with faux touches, the displacement of neighborhoods, the emphasis on a Las Vegas-style entertainment destination in the new New Orleans, I fear little will survive of the original spirit of the place."